What the heck is needlework? Needle work is anything that can be done with a needle and thread. There are various forms that like fashion tend to fade in and out of style. It includes but is not limited too Cross-Stitch, Needlepoint, Petite Point, Ribbon Embroidery, Embroidery, Hardhanger, etc. Honestly, the list probably could go on forever. 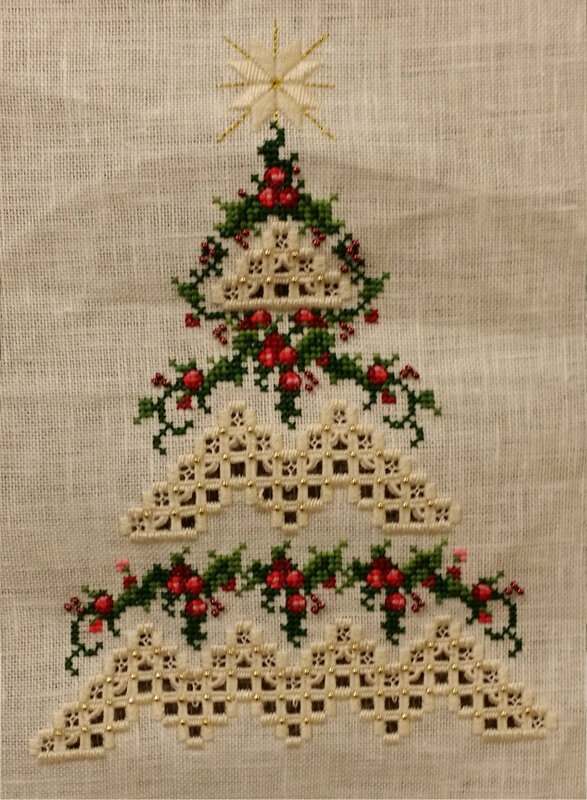 Cross-stitching uses a needle with floss to make x’s on various kinds of fabric. There is a pattern to follow. Needlepoint uses a variety of stitches; including x’s. The canvas is usually painted and there are some general instructions to follow. Petite Point is similar to needlepoint, its just smaller. Ribbon Embroidery uses ribbon and thread with a variety of stitches on fabric. A pattern is traced onto the fabric and there are general instructions to follow. Embroidery is similar to ribbon embroidery but does not use ribbon. Hardhanger uses embroidery stitches and fabric. However, once the ground work is laid, threads of the fabric are cut out creating a lacy delicate look to pieces. These are currently the most popular types of needlework and the ones I am most familiar with. Each one is distinct and each one creates a treasure.